The Inn at Mystic, on the Connecticut shore. Shelley Seale photos. The town of Mystic, Connecticut isn’t very big — but there’s a lot of punch packed into a small space here. Its picturesque setting onthe coast of the state, pretty downtown lined with boutiques next to the drawbridge, and historic Mystic Seaport draw in visitors with an easy appeal. And don’t forget Mystic Pizza — open since 1973 with the slogan “A slice of heaven,” this is the real-life place that inspired the 1988 movie that gave Julie Roberts her first big break. 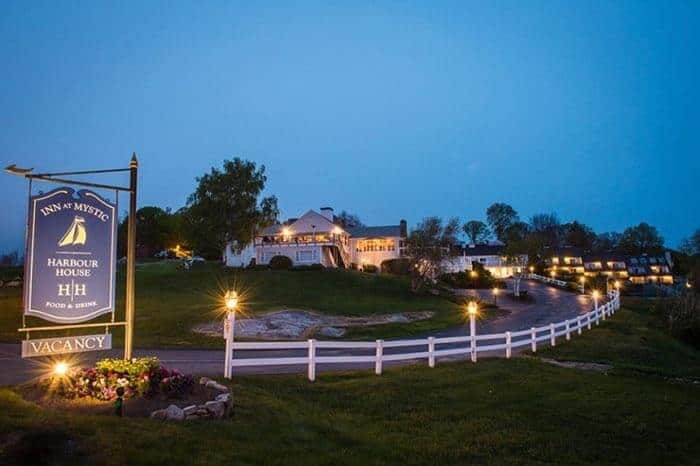 Located on what was once a private estate with sweeping views overlooking the Mystic Harbor and Fishers Island Sound, the Inn at Mystic has been welcoming guests for over fifty years. Its great location just outside the downtown area, off I-95, makes it the perfect home base for exploring all Mystic has to offer. The resort consists of four unique types of lodging accommodations; the Main Building, the East Wing, the Haley Mansion, and the Gate House. 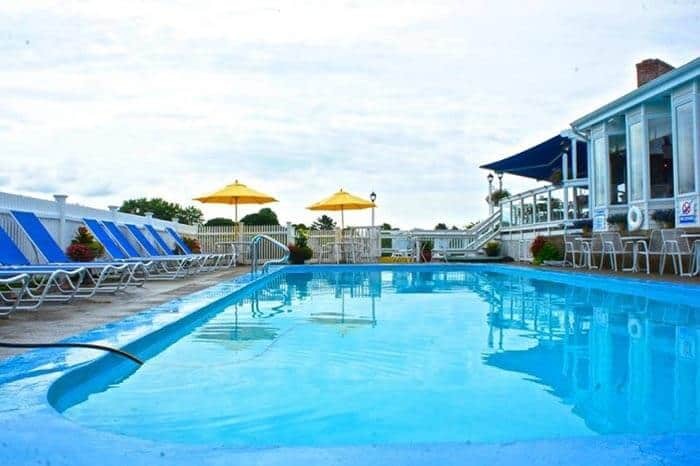 Each room on the property has the charm of a turn-of-the-century coastal country inn, and the resort has the privilege of being the only lodging establishment in Mystic to overlook Mystic Harbor and Fisher’s Island Sound. This unique resort is spread over fourteen landscaped acres in the heart of historic Mystic. 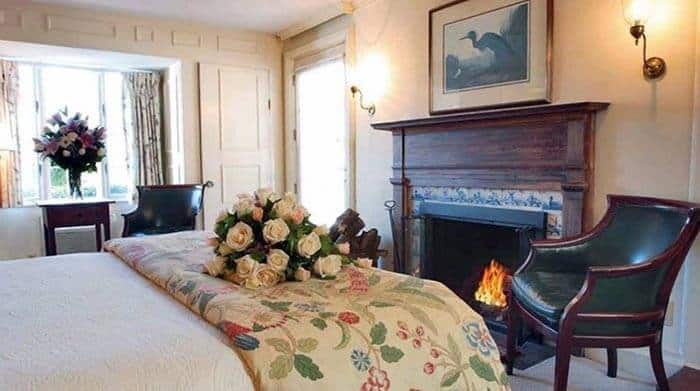 With colonial cottage-style guest rooms some with gorgeous water views, the inn also boasts the Harbour House Restaurant and the Haley Mansion, a lovely Colonial Revival estate built in 1904, and the site today for weddings and other special events. The Main Building and East Wing have 51 guest rooms decorated in a nautical style that fits in perfectly with the surroundings, all with modern amenities and private baths. Some rooms have wood-burning fireplaces, oversized Jacuzzi bathtubs, and outdoor balconies or patios where you can relax and enjoy the sunrise and sunset. 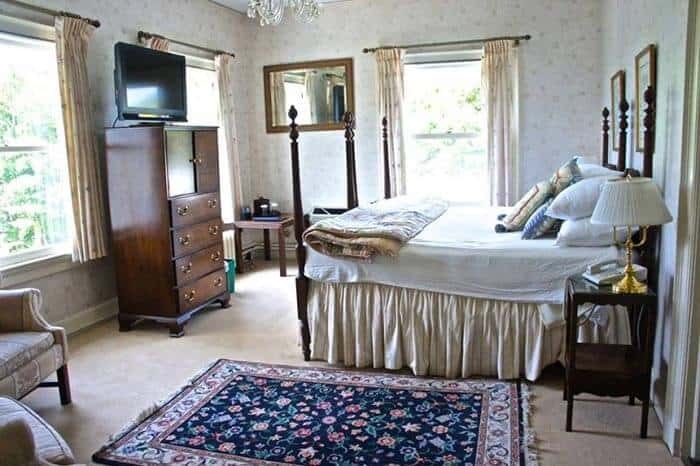 The second floor of the Haley Mansion offers five additional guest rooms with ten foot ceilings, classic wood-work and moldings with either a king bed, queen bed or a double bed. This hillside Colonial Mansion is surrounded by an orchard on one side with formal gardens, and a pond with a waterfall on the other where you can have a seat and relax in an Adirondack chair and enjoy one of the best views in Mystic. All rooms are provided with complimentary Wi-fi, fine linens, HDTV with cable, iPod dock, mini-fridge and coffeemaker. Relax in one of the Adirondack chairs throughout the property or sip a cocktail on one of two outdoor decks at the Harbour House restaurant and bar, all featuring picturesque coastline views where you can enjoy the beautiful sunrise and sunset. Take a stroll through the gardens, a dip in the outdoor pool, or enjoy playing on the tennis court or putting green. The pool at the Inn at Mystic. Cruise the cove and harbor in a kayak or canoe, or take a bike around Mystic and Stonington. Watercraft and bike activities are complimentary as a hotel guest. There are also basketball and volleyball courts, hiking/biking trails, pedal-boats, fishing and unlimited use of the local YMCA facilities. The inn also offers free parking, a business center, and concierge services. Hotel guests receive vouchers good for a complimentary continental breakfast, or a discount on the a weekend brunch entrée. 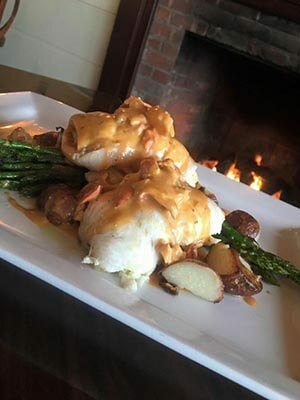 Harbor House Bar & Restaurant also offers lunch and dinner with fresh, seasonal cuisine that is seafood heavy, a raw bar, and a fun Sunday Jazz Brunch. This beautiful building sits atop the hill of the inn’s grounds, surrounded by magnificent gardens, a waterfall, meadow pond, and sprawling lawns. Listed on the National Registry of Historical Places in America, the Haley Mansion features original 18th century pin pine paneling imported from the home of an English Duke in 1945 mingled with hand carved fireplaces and Dutch tiling. On the Mansion’s second floor are five elegant suites adorned with period style furnishing and antiques, some with water view balconies overlooking the Long Island Sound. Mystic is located halfway between New York and Boston, at Exit 90 of I-95. Centered around Mystic, Connecticut, the region is accessible via Interstates 395, 91 or 95. The Inn at Mystic is located two miles off I-95, and just a short walk or drive to the heart of historic downtown Mystic. If you are thinking about visiting the Mystic Seaport, Mystic Aquarium or the Mashantucket Pequot Museum, get a Mystic Pass card. It combines entry to all three for a lower price, along with discounts on area restaurants and shopping.